Start by cooking the tortellini according to package instructions. Meanwhile, in a large, oven proof skillet, simmer the cream cheese with chicken broth for about 10 minutes. 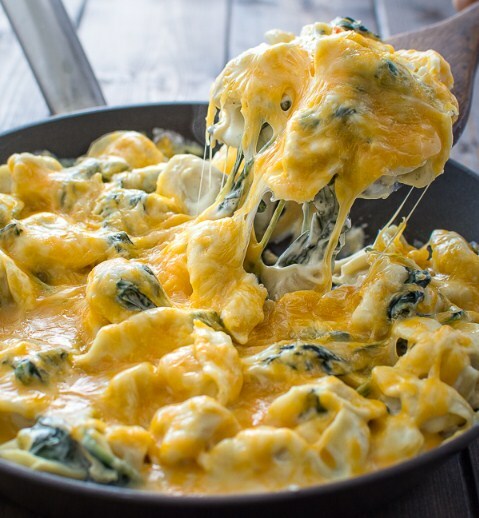 Add spinach to the cream cheese sauce and simmer for another 5 minutes. Add tortellini, mix everything well and sprinkle the shredded cheese on top. Place the skillet in the oven and bake for about 7-10 minutes, until the cheese melts.